Most Canadians are affected by mental illness, either directly or indirectly, through family, friends or colleagues. Yet there is still a stigma attached to this range of diseases - a barrier to correct diagnosis and treatment, as well as to the acceptance and support of people with mental illness within the community. As artists presenting this topic in Next to Normal, we had to ensure that we delved into unspoken material and learn to approach them in a realistic and engaging manner. We strived to become comfortable with the uncomfortable, and bring our personal baggage to the forefront as tools to empathize with the characters and the subject matter. The road taken with our incredible cast and crew was one I will hold dearly in my memories. 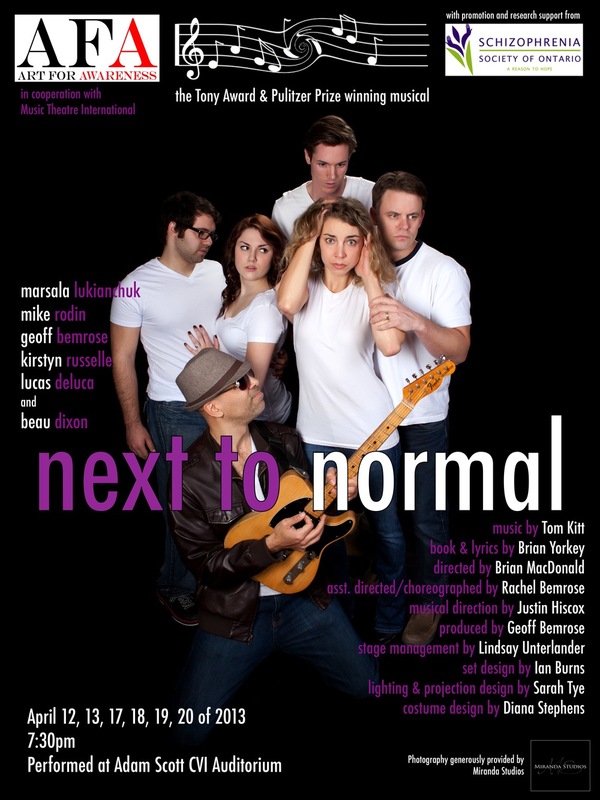 Next to Normal is an emotional rollercoaster, and we hope you enjoy the ride.